The seven-year old HSR Layout Sector II Residents Association convened their annual general body meeting on 19th of July at Cambridge Public School located in the vicinity. a. Blacktopping of all roads and regular clearance of shoulder undergrowth. c. Proper repair of road cutting. (Left to right) Mahesh, Chana Keshava, Bhasker Reddy, Brinda Gaurav, Basava, Kumar, Brig Murthy and Girish – the newly elected committee of HSR layout 2nd sector RWA. a. Daily clearance of garbage in a proactive manner. There is improvement but a system has to be in place, this will stop the menace of pigs, stray dogs& rodents, reptiles and prevent health problems. b. Aggressive awareness campaign by BBMP on educating residents through posters, notices and audio visual road shows. d. Educating school-children in the area on the importance of having a clean and healthy environment who, in turn, will educate their families. a. Immediate eviction of camps in a coordinated and complete manner. c. Eviction of construction sheds along the footpaths of Main and Cross Roads .These encroachments need to be evicted on an urgent basis in the interest of the community. a. Ensure that both owners as well as BBMP agencies maintain vacant plots. Legislation might be needed for this. b. Proper maintenance of parks that have been created in the last few months. Officials from BESCOM, BWSSB and BBMP also attended the function along with residents, with a very frank and fruitful interaction. It was mentioned that there is a perceivable change for the better on the condition of roads and garbage clearance but a lot more needs to be done with proactive initiative for permanent solutions with coordinated action by civic agencies, BBMP and BDA. Responsibility of garbage management rests on residents too, they need to be aware of this. The civic officials promised resolution of residents’ grievances relating to garbage management, proper lighting of roads, maintenance of parks and water supply through close working relationship with the residents and association. The residents requested for early decision on their petition to BBMP and BMTC, on shifting of the bus stand from Parangipalya bus stand in HSR layout to either the junction of 17th Cross and 19th Main road or the area near the KEB power station ahead of Purvankara apartments on 24th Main Road where ample space and turning radius (for the buses) are available. The MLA of the area, Satish Reddy (Bommanahalli) attended the meeting for some time and assured full support towards resolution of the many issues pertaining to infrastructure. Most of the previous office bearers were once again re-elected during the election. 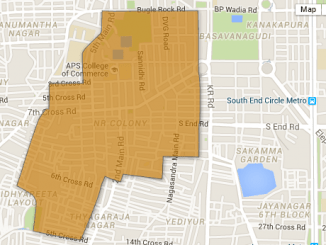 How much did BBMP spend on Basavanagudi ward? What are the issues troubling the ward? How much money is pending to be paid to the contractors? STREET LIGHTS: NO STREET LIGHTS ARE PROVIDED, INCLOODING POLES&LINES ARE NOT PROVIDED, RIGHT FROM THE FORMATION OF THIS LAYOUT, IN 15, 16&18 TH CROSS- BETWN, 27TH&31ST MAIN ROADS,IT IS VERY DEFFICULT TO MOVE IV THESE ROADS IN THE NIGHT TIMES. PROVIDING CROSS ROAD&MAIN ROADS SIGHN BOARDS IS ALSO NEGLECTED IN 16,17,18,19,20TH CROSSES& 27, 28, 29, 30 31ST MAIN ROADS. RECENTLY ONE PARK IS PARTIALLY DEVOLOPED BETWEEN 28TH-29TH MAIN. THE WORK IS UN FINISHED. ONLY 2 POLES WITH 4 LIGHT FITTINGS ARE PROVIDED IN THE PARK. OUT OF WHICH, 1 LIGHT IS NOT BURNING RIGHT FROM DAY 1, SEVERAL COMPLAINTS LODGED BUT NO RESULT. PARK LIGHTING WORK IS YET TO BE TAKEN UP. IT IS PENDING FROM LAST MORE THAN 1 YEAR, PARK WATERING ARRANGEMENT IS ALSO PENDING. ASPHALTING OF ABOVE SAID ROADS IS ALSO NOT TAKEN UP IN PAR WITH OTHER SECTORS OF HSR LAYOUT. PERTICULARLY, THIS EAST-WEST PORTION OF 2ND SECTOR IS COMPLETELY NEGLECTED BY CONSRENED AUTHIRITYES. 92, 18TH CROSS,28TH MAIN, SECTOT 2,HSR LAYOUT, BANGALORE 560102. MOB; 9900117661.